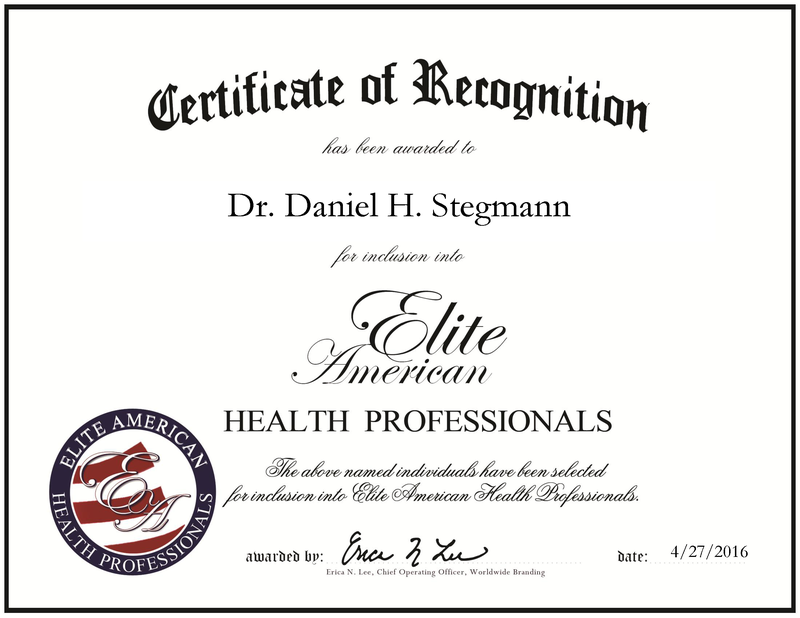 Chicago, IL, April 27, 2016, Daniel Stegmann, Chief Executive Officer at Infocare, has been recognized by Elite American Health Professionals, for dedication, achievement and leadership in health care services. Dr. Stegmann brings more than 26 years of experience to lead and direct his company, Infocare. The health care services company specializes in clinical document solutions for doctors and nurses. He launched the company 10 years ago, calling upon his expertise in the technological side of medicine and health care. With this company, he ensures analytic solutions for real-time clinical processes are incorporated, meeting the needs of doctors and nurses. He hopes to have outcomes of his services documented and proven, so that all information in the health sector can be easily shared. Dr. Stegmann earned a master’s degree in facial surgery from the University of Stellenbosch. He continued to earn a doctoral degree in dentistry from the same university in 1988. With his own private practice for nearly three decades, Dr. Stegmann is an expert in trauma and joint problems. To keep current in his industry, he maintains affiliation to the UCH Alliance, HSBC, and the Analytic Group of Dublin University. Dr. Stegmann assisted in the establishment of 17 new private hospitals, and established nursing training academies at two of these hospitals. In addition to launching Infocare, he has helped to create community health education centers. He attributes being able to accomplish all of this by listening to people and working to meet their needs. In all aspects of his career, he has always taken the problems of others into consideration. This entry was posted in Dentistry, Education, Research and Education and tagged clinical document, clinical processes, Dentistry, Doctor, facial surgery, health education. Bookmark the permalink.